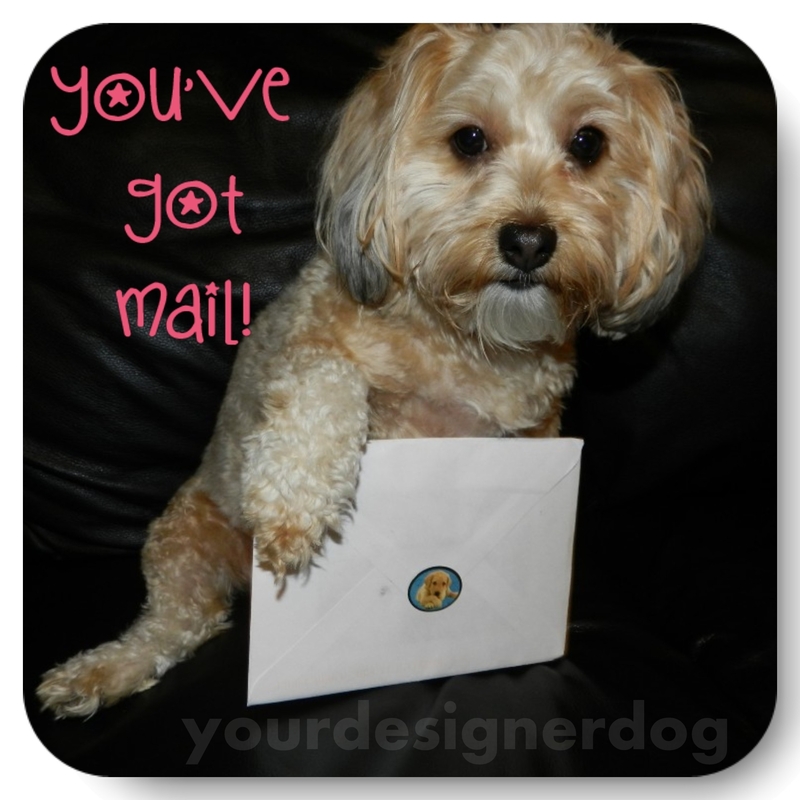 It should come as no surprise that I love custom dog-related products, especially those that use photos of Sadie. So when I heard about Jolly Awesome Pet Tags, I knew I had to try them. 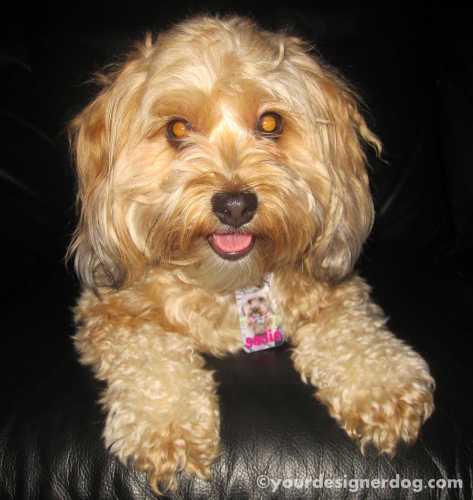 At JollyAwesomePetTags.com, you can design custom tags for your pets, using your own photos, clip art, text, etc. 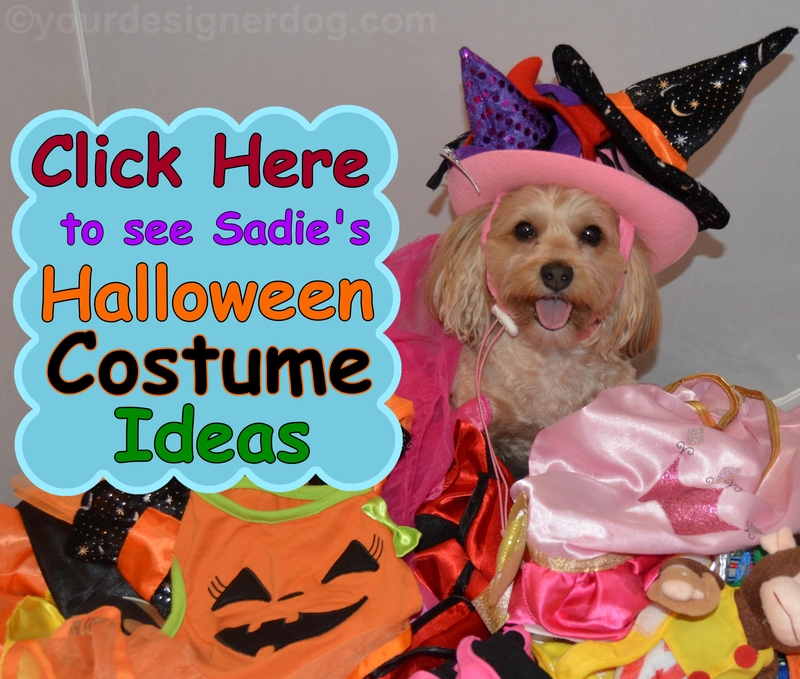 I spent about an hour having fun designing three custom tags for Sadie and I just love how they turned out! The tags start out as plain, white Dura-tags™. 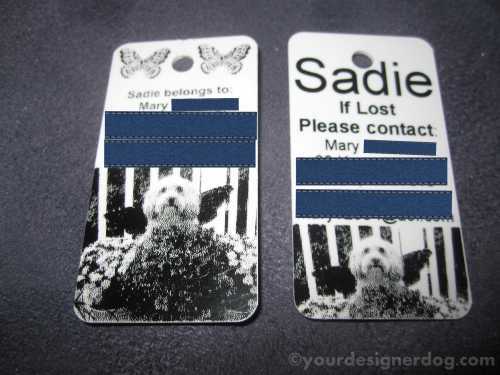 You can then customize both the front and back of each tag using the designer tool on jollyawesomepettags.com. The front prints in full color, so it’s perfect for photos. The back only prints in black and white, meant for your contact info. It’s a fairly simple interface to customize your tags. You click on the side of the tag you want to work on, upload your photo, and then move and resize your photo until you have it just right. Vertical photos work best to cover all of the white space on the tags. You can also add clipart and text in a variety of colors and fonts to the front of your tag. Once the front is done, you click on the back of the tag, and type your contact info using whichever font appeals to you. When you have finished designing, you can save your design to work on or use later, or you can purchase your tags immediately. When I designed my tags I got a little carried away and placed colored text and photos on the back of the tags. The wonderful people at Jolly Awesome Pet Tags were nice enough to send me my tags as I designed them, but also sent me a set designed correctly with only black text on the back. As you can see in the below photo (ignore the blue boxes where I blocked out my personal details), the black text on the right printed much more clearly than my incorrectly colored pink text on the left. So don’t make my mistake; design the back of your tags with black and white in mind. I haven’t had these pet tags long enough to test the full extent of the Dura-tag™ durability, but it seems promising. Since the material is a type of plastic with your design printed on it, you don’t have to worry about an engraving rubbing off or scratching. It’s also water resistant. This material makes these tags much quieter and lighter than metal tags, but they feel just as sturdy. However, they are somewhat bigger than the standard metal tag. The size wouldn’t be an issue on a large or even medium sized dog, but the tags do look a bit big on my little Sadie. She doesn’t seem to mind wearing a larger tag, and this size does cover up the ugly city tag she is required to wear, so I think these will become the standard tags in my house anyway. All the tags from Jolly Awesome Pet Tags are also fully guaranteed. You can request replacement tags if your pet’s tags get damaged or lost, or even if your contact info changes. The people at Jolly Awesome Pet Tags understand how important it is for your pet to have correct, legible identification in case the worst happens and your pet gets lost. I love the versatility of these tags. They generally come as sets of three, so you can be really creative and make three unique designs, or copy one design to all three tags. This is perfect for multiple pet households, giving you the opportunity to create individual tags for different pets. Or you can use the spare tags as key chains, zipper pulls, or even luggage tags. I decided to use one of Sadie’s spare tags as an ID tag on her bag. That way if I forget her bag at the park or lose track of it at an event, there is identification on the bag. I also plan to put one on her carrier bag before we go on a trip at the end of the year. So if you’re in a creative mood, stop by jollyawesomepettags.com and design some awesome custom tags for your pets. 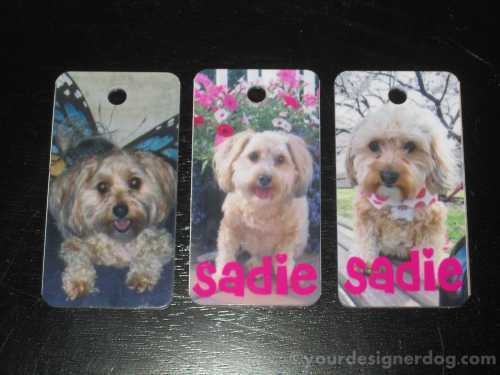 It’s $16.95 for a set of three double-sided pet tags. 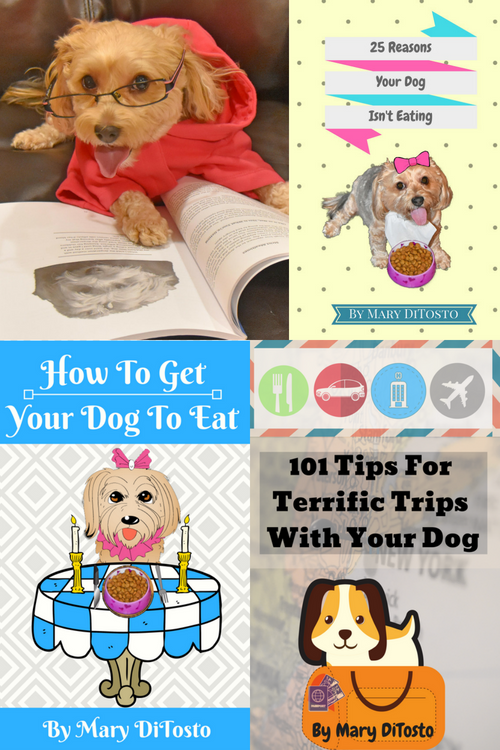 This post is part of Rascal and Rocco‘s Pet Parade blog hop. I received no monetary compensation for this post. I was given a free product to review. All opinions are my own, unbiased feedback. Those are adorable!! Mom would be afraid we would chew ours and ruin them! Thanks for sharing! There are so many pet tags on the market, it is amazing! We like our silver paw ones as they are super sturdy and guaranteed for life. 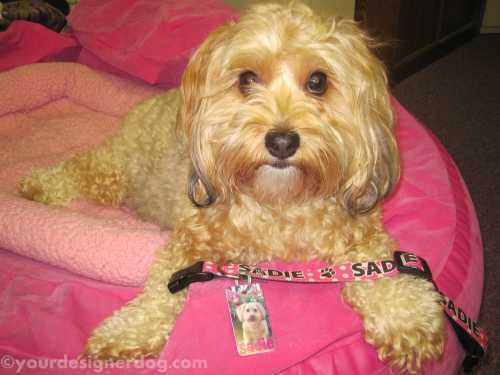 Looking good in your fancy new tags Sadie! 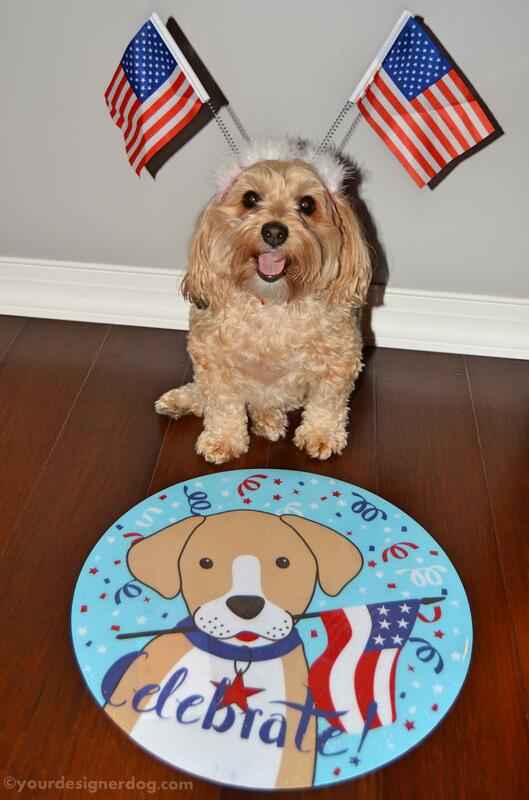 Thank you for joining the Pet Parade and have a great weekend!